Will has dedicated his life to teaching and empowering youth through sports and health education. He has 10 years of experience engaging students as a Physical Education and Health teacher at Williamsburg Middle School (2004-present). In addition to his full time job at WMS, Will is involved in every level of the sport as a coach, mentor, and friend. Will began his Ultimate career playing at Truman State and Drew University from 2001 to 2004. In 2005 he moved to Northern Virginia and began coaching the Yorktown-HB Woodlawn varsity boys (YHB). In his 8-year tenure as head coach, YHB won 6 state championships. In addition to his involvement at the high school level, Will created the Williamsburg MS Ultimate Team in 2006 and has coached them ever since. 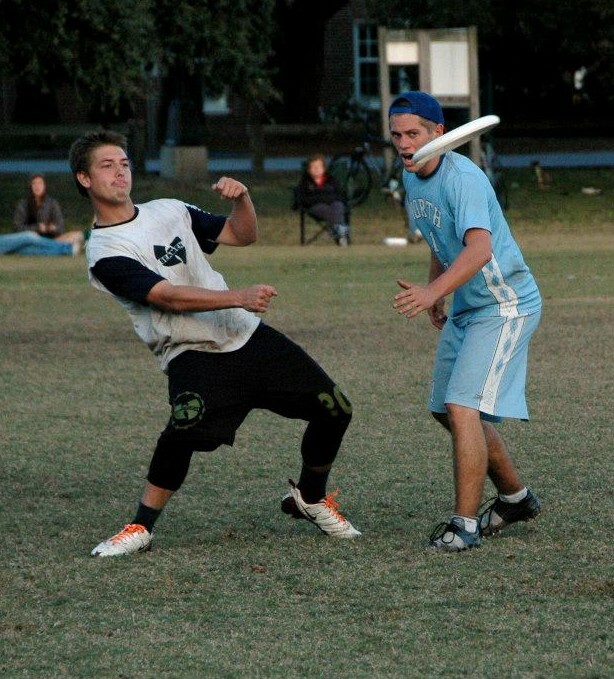 Will’s success coaching at the youth level spread to the elite club scene in 2013 when he was hired as the defensive coordinator for the DC Current (D.C.’s professional team in Major League Ultimate). Following his success with the DC Current, Will was brought on as head coach for D.C.’s elite men’s club team, Truck Stop. Will enters his second season with the Current this spring, once again as the D coordinator. 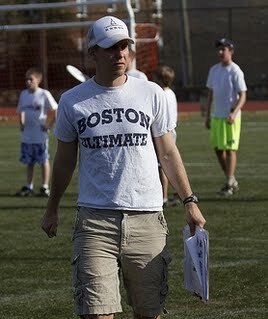 If one man is responsible for the thriving youth ultimate scene in Virginia, it’s Dave Soles. Dave is passionate and dedicated to the idea of getting every kid to play frisbee. Dave has been a teacher in Arlington since 1996. He taught chemistry and P.E. at HB Woodlawn for over a decade, and after a year living in Africa, is back teaching Algebra at Washington-Lee. Dave began playing frisbee in 1993 at William & Mary and hasn’t looked back since. He created and coached the YHB boys from 1999-2005 and, when Will took over as head coach for the boys, Dave shifted his focus to developing a strong women’s program. From 2005 to 2012, Dave organized, recruited, and coached girls at all levels for YHB. Dave’s hard work established the YHB girls as the most dominant program in state history. The YHB girls are the reigning State Champs since 2008 and look to continue their strong tradition of winning this spring. After returning from Africa in 2012, Dave accepted his current position at Washington-Lee and formed the W-L team. His experience coaching, working with administrators, and building the YHB program will ensure that ultimate becomes a staple sport at W-L.
Dave’s love of life is contagious and his irreplaceable energetic personality is the foundation of the fun, inclusive environment at CUC. Zachary Norrbom – Zach’s first came to CUC as camper in 7th grade. He has not stopped playing frisbee since. He went on to be the captain and star of the HB team in high school and Mary Washington team in college. His team mates made this video about him and he won the Donovan award for being the BEST PLAYER IN THE COUNTRY IN HIS DIVISION. He is now an Art Teacher at Barcroft in Arlington. We do not guarantee this level of outcome for all our campers. You may have to teach math or something. Christine Valvo – Played for Mary Washington in college and for a variety of Club teams since. Her mixed team SpaceHeater was 3rd in America last year. She teaches 3rd grade at Patrick Henry and coaches the YULA girls fall ACE’s program. She is super nice and kid focused. We are glad to have her back for a 3rd summer in 2019. Julia is an experienced leader who brings energy, patience, and humor to CUC in her 7th year of coaching. She began playing for YHB in 2008 and captained the team to a State Championship in 2010. 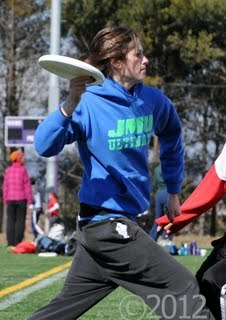 In 2011, Julia took her talents to James Madison University and quickly became an impact player and eventual captain. Julia works for APS in preschool special education. So no matter how uncoordinated your kid is, Julia has seen worse. Julia has coached the Yorktown/WL girls teams for 3 years including 2 upset state championships. In 2017 she coached the DC Youth All Start Team Justice at the National Championships in Minnesota. Her experience on the field and on the sideline combined with her deep love for her dog, Rooney, make her a perfect fit for coaching at CUC.